Once upon a time, one tablet ruled over the post-PC world, and this tablet was called iPad. 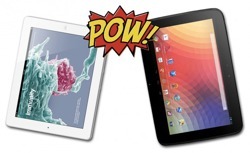 Competing Android tablets soon entered the market, but an “iPad Killer” was nowhere to be found. Life was simple. 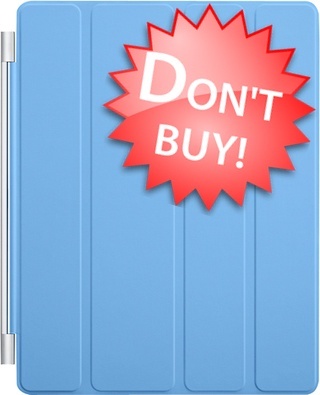 However, three years after the first iPad has been unveiled, the tablet world is rapidly shifting. Microsoft entered the market with its Surface tablets, and Android powered devices such as Google’s Nexus 10 lure consumers with better hardware specs than the mother of all tablets – the iPad. The “Android vs. iPad” decision is a tough call because of its long-term consequences: I don’t know about you, but I rather build and fine-tune my computing workflow only once. And the situation is even trickier when not only your own time and dollars are on the line, but when you are trying to decide what platform should be adopted for a school-wide tablet program. I don’t pretend to have the answer here. I don’t even have an unbiased opinion, since my own workflow is heavily based on Apple’s ecosystem: I sync between my iPad and my Mac when annotating papers, organizing my tasks and notes, conceptualizing ideas, and I use all kinds of helpful iPad apps in my research and studies. Looking for a stylish iPad case? Check out these 9 beauties! The iPad’s sleek design is one of the main reason why I am so fond of this particular tablet. I simply enjoy a beautiful design, and I always found that a stylish iPad case can add, not distract, to the overall iPad experience. This post is a running list of beautiful iPad cases that I find around the web. The stylus is making a huge come back nowadays. New forms and shapes have proliferated over the last few years, begging the question: what is the best stylus for academics? I personally think that Adonit’s Jot is the best stylus out there for people in Higher Education. In this post I share my personal experience with the Jot, discuss its pros and cons, and compare the different members of the Jot family (Pro vs. Flip vs. Touch) with each other. Stylus Academicus: What stylus is optimized for handwriting and conceptualizing ideas? Many people ask me what stylus I can recommend for taking notes in class or to conceptualize ideas; and for a long time, I became unusually quiet. The truth is: I am somewhat torn about using a stylus. For the most time, I have found neither hardware nor software developed enough for digital handwriting, but this has been changing for some time now with improvements on both sides. And with Bluetooth 4 being introduced in the new iPad, even better styluses are looming around the corner. It is therefore time to finally enter the stylus debate: Does it make sense to buy a stylus for university and college work? The short answer is: Only if you don’t expect miracles. A true paper-notebook-like experience is impossible until the next generation of styluses rolls around. However, there are a few styluses today that are optimized for handwriting and drawing conceptual maps, and these are worth a try if you are willing to experiment a little in your analog/digital workflow. The iPad can be an incredible tool for the serious writer, but only if paired with an external keyboard. Which of the countless alternatives out there is the right keyboard case for you? Its simple: Go for a quality keyboard that fits your writing style. This guide discusses three things you should consider about your writing style, and it reviews ten of my personal favourite keyboard cases. Magical screen cleaner? 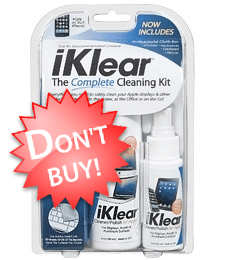 Don’t waste your money to clean iPad! Browsing through the Apple accessories aisle of some stores is sometimes like entering a strange, medieval-times bazaar: you can find everything from bare necessities to magical potions. Screen cleaner fall under the second category. Boy was I excited about the new iPad! Judging from its specs, it seemed to me the best iPad yet for academics, and so I went ahead and ordered one. However, the heat issue cooled of my excitement considerably. The Retina Display and the new camera perform well, pretty much as expected. What I didn’t expect, and what nobody really saw coming until the first units arrived at people’s doorsteps, was that the new iPad runs considerably warmer than its predecessors.